Coming to Barcelona in September? Not sure what’s left to do now that summer is over? Don’t worry we’ve got you covered! Here is everything you need to know in order to stay busy during your autumn visit… and for even more things to do head here. If you’re coming at the end of the month then you have no excuse, you HAVE to take part in the celebration of La Merce! This year it goes from September 21st to the 24th. It’s the festa major of Barcelona, and it’s held in honour of the Virgin of Grace, the Patron Saint of Barcelona. These festivities are great because they allow you to see a lot of Catalan traditions all at once. 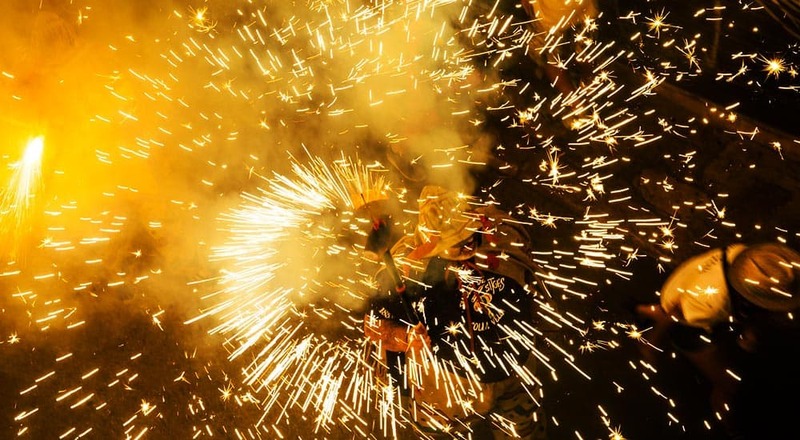 Among musics and shows you will experience the energy of the Correfoc devils during their fire run (bring protective clothes and hats as there will be a lot of sparkles! 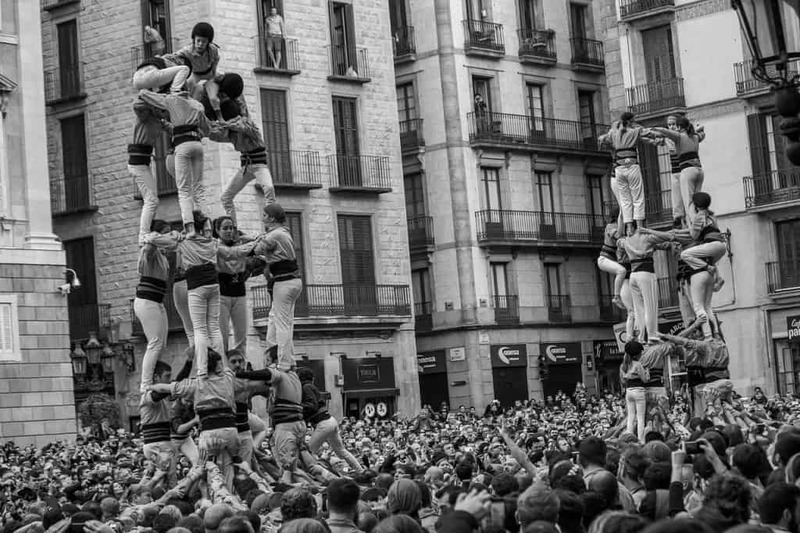 ), admire the incredible courage of the castellers (human towers) and dance with the gigantes (representing the king of Catalunya, queens and nobles). And do you know what the best part about this festival is? Everything is FREE! You can just have a good time and feel like a local without spending anything. After years of being under construction the Sant Antoni market is finally open again! You definitely need to check his fresh looks, and you will probably avoid the crowd of La Boqueria, as it is less known of the tourists for the moment. If you are not sure what to try there, you can take the Catalan Gastronomy Tour by Food Tours Barcelona, which includes a stop to the market and different wine and tapas bars. 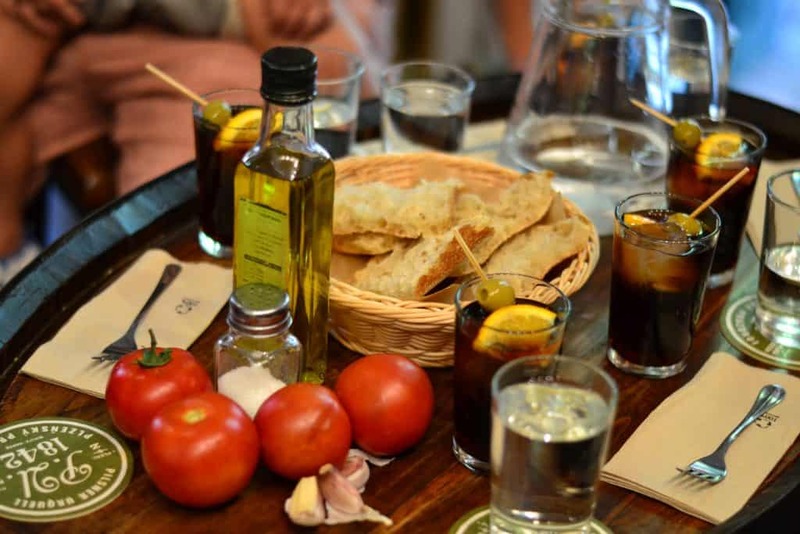 A guide will show you the evolution of Barcelona cuisine by making you taste different dishes and drinks, while explaining the story behind the food you taste, the venues you visit and Barcelona. What about an excursion for one day? If it’s your only chance to visit Spain, or if you’ve been to Barcelona before, you might want to see more of beautiful Catalonia. An excursion don’t have to mean taking a bus or car; you could actually bicycle to Sitges, a city a little bit south of Barcelona. 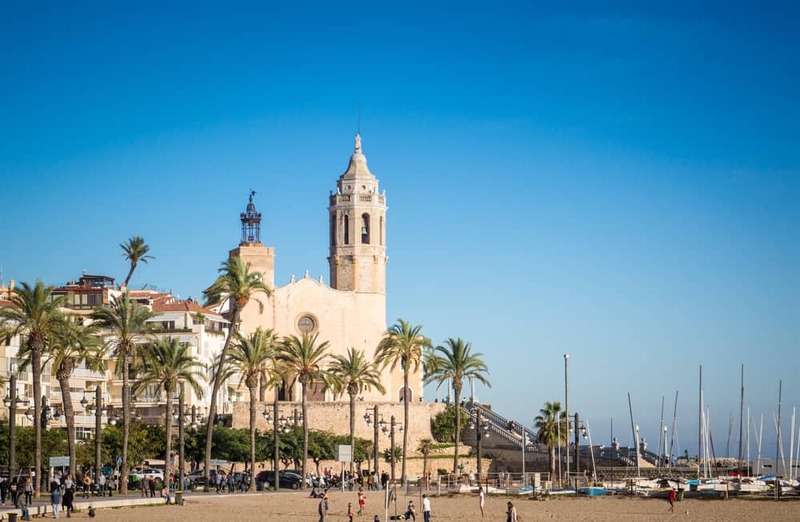 Sitges is known for its amazing beaches, so after a riding there you can relax on one of the 17 beaches the city has to offer. Usually the weather is still warm in autumn, and you can probably even still go swimming. Of course if you’re not really into riding a bike for that long you can always take the train. Want to bring back awesome pictures to show all your friends? In need of better shots for your instagram profile? Shutter Kings is here to help you with their Barcelona photo tours and shoots! Learn how to take great pictures with the help of a professional photographer, or be a model for a day and let them take great shots of you for your online profiles. 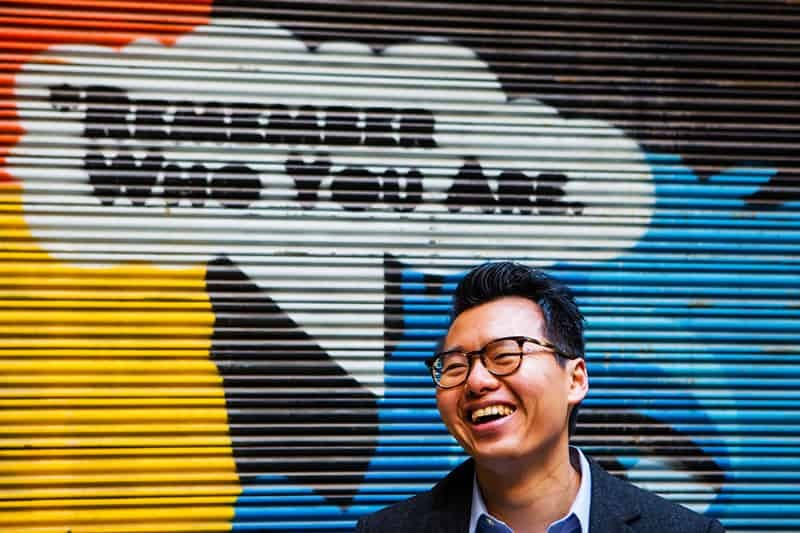 They will take you to some of the best spots in Barcelona for awesome backgrounds. You don’t need a professional camera, they can teach you to take better photos with just your smartphone! 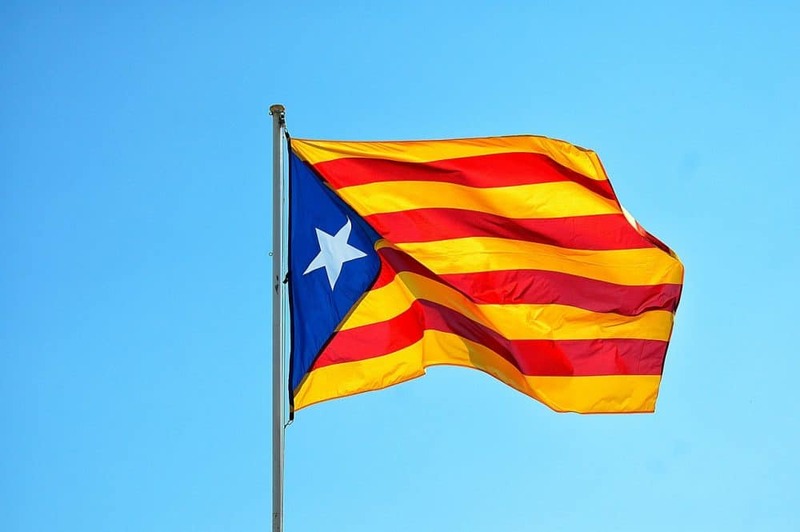 The 11th of September is very important for Barcelona as it’s “La Diada”, the national day of Catalunya. Most attractions and restaurants will remain open, but many shops may be closed as it is a public holiday. But you can still be entertained with all the different events. It starts with a floral tributes being laid at the statue of Rafael Casanova, at the Ronda de Sant Pere. You can go visit the Parliament de Catalunya, which is only opened to public on this specific day every year. There is usually a big march starting at 17:14, in reference to the year when the region lost its autonomous rights to Spain. At night, you can enjoy a free concert at 7pm at the Arc de Triomf or other poetry readings or small animations during the whole day. 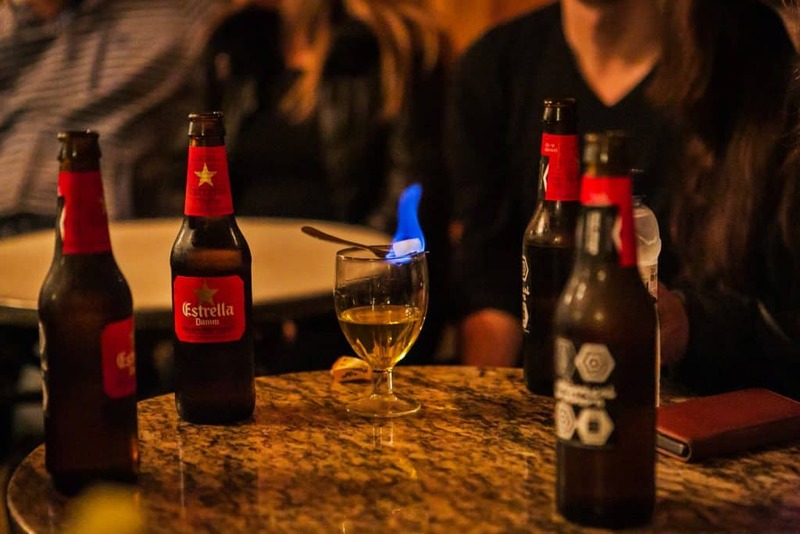 Nightlife is huge in Barcelona so you need to go out and experience it! With the help of Tapas and Beers’ Hipster Bar Crawl you won’t have to wander all night not knowing where to get a nice drink not overpriced. Their local bar hop will show you cool bars frequented by mostly locals. And then your guide can get you on a guestlist for a nightclub or just give you some ideas on where to go for the rest of your night or another night on the weekend. If you are coming on your own or on a small group it’s also a great way to meet people coming from all over the world! The bar crawl runs every Friday night. Now that the heat wave is gone, you can actually enjoy staying outside during the day. Barcelona offers a great diversity of parks to hang out. Why don’t you organise a picnic with your family or friends? 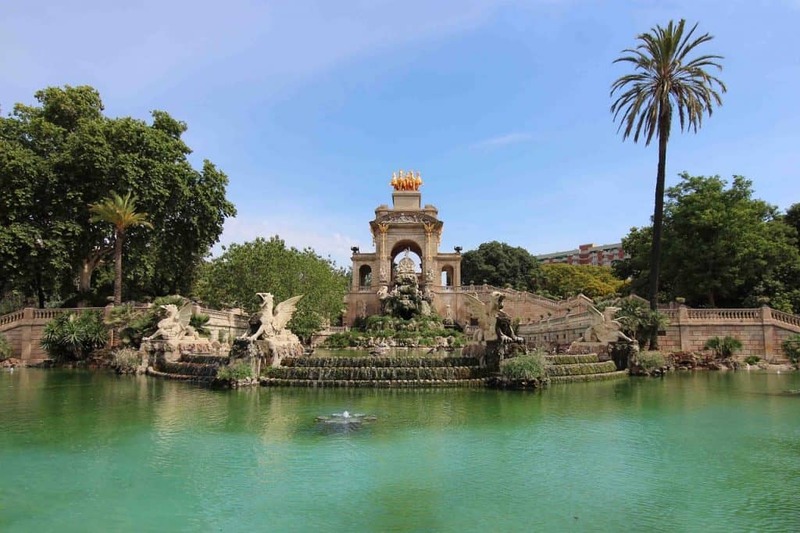 You have a great selection to choose from: you can go to the most famous downtown park, la Ciutadella which is right in the city centre; or you can relax in a quieter one, such as the Laberint d’Horta Park, where you will be able to get lost in the maze after your lunch. Another option would be to eat while looking at the sea at the Montjuic Mirador, after a nice walk. For the Create Your Own Cava experience you travel to a boutique winery in the Penedes region (a short train journey away), take a tour of the winery’s cellars and vineyards, taste three distinct blends of Cava and then learn how to bottle your own personalised bubbly. Amazing fun and you can also stay for a home cooked rustic lunch. 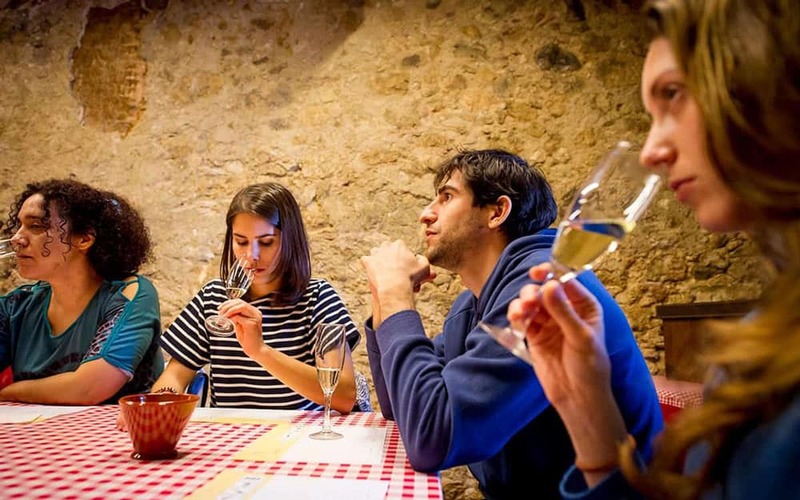 The Create Your Own Cava experience is one of several amazing wine tasting activities you can try via Barcelona Wine Tours. Others include a Montserrat and Wine tour and a wine tasting workshop in Barcelona city centre. As September is harvest season you may see extra activity in the vineyards this time of year. 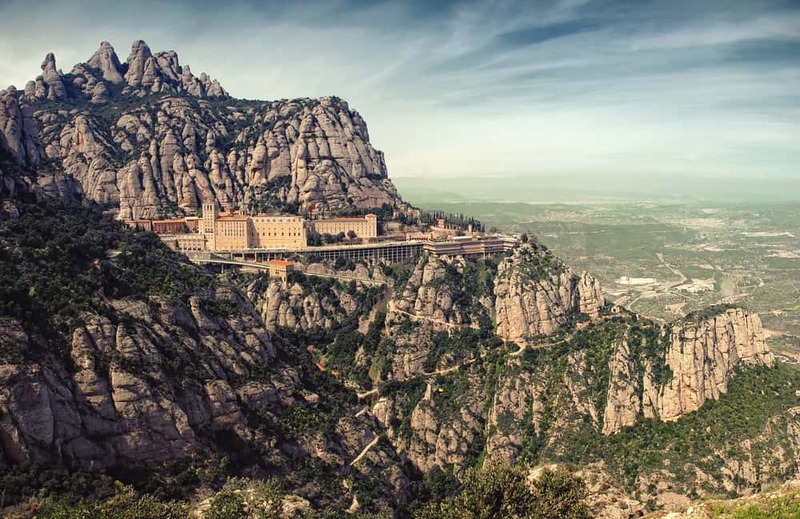 If you don’t want to visit Montserrat during a wine tour (see above) don’t worry, there are plenty of other tours going to this incredible mountain! This landscape has a significant religious importance and offers incredible views, and is Barcelona’s most popular day trip destination. One good option is to take the Easy Montserrat tour, with BCN.travel, to enjoy breathtaking views while riding the rack railway and then be serenaded by the magical voices of the world-renowned boys’ choir, the Escolania de Montserrat. You can order a cerveza at every bar, but the Spanish mass market ones are not the best, in our humble opinions. However there are scores of small independent breweries in Catalonia, and – whilst it’s not always easy to find them – there are great bars where you can taste their wares. 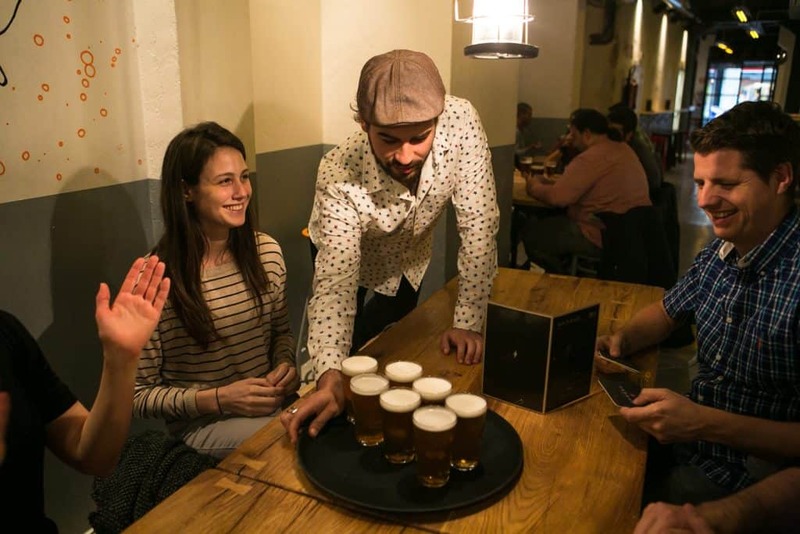 Our advice would be to join a Craft Beer tour during which you will not only visit a microbrewery, but also check out some the best beer bars of Barcelona with an expert Catalan guide who will tell you about the history of beer production and lead a guided tasting of some of the regions’s best artisan ales. Yes, we’ve saved the best til last! How about this autumn or fall, you get to know Barcelona in a different way? You can find a lot of bike tours in the city, but at Steel Donkeys we have always tried to be different to everyone else. You will not ride to the Sagrada Familia, the Gothic Cathedral or Casa Batllo during this tour – you can find all those places easily enough yourself! Instead our local guides will take you out of the touristic Gothic Quarter and show you other cool neighbourhoods like Raval, Eixample or Poblenou (every day we take a different route! ), and help you get a feel for the real Barcelona. 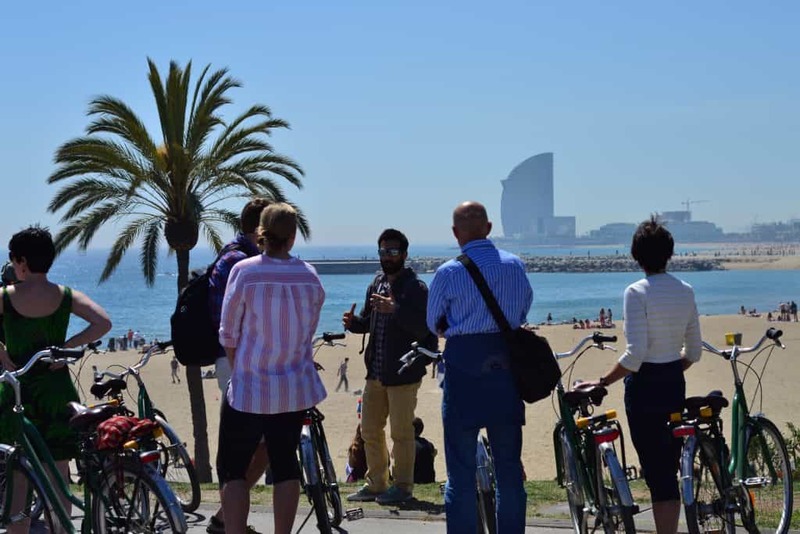 Over the course of four hours, your guide will show a treasure trove of hidden gems around Barcelona and share their insight about the local life, culture and politics of this beautiful, slightly crazy, city. And we always stop off for some delicious local snacks and liquid refreshment too. The experience is also different from other tours as there will be maximum 8 people on the tour. We like to keep it small as it’s easier and safer than having 20 people on the road, and our smaller groups means everyone has a chance to interact with our wonderful guides and ask them questions about the city. You can book one of our tours online here; or send us an email at info@steeldonkeybiketours.com if you want to book a private tour! You can have even more fun on our tour by choosing to ride an eBike for only €10 extra. Our tours are family friendly, especially if you want to book a private tour, when we can tailor the itinerary for your kids.